Coca-cola takes its collaborations one notch higher as it partners with renowned Canadian shoe brand Bata for a new line of shoes. 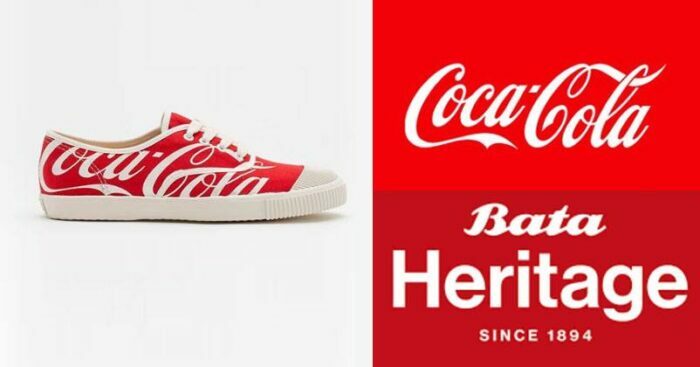 Coca-cola has joined hands with Bata for a whole new line of shoes inspired by the famous beverage brand and its original colours which will be a part of “The Heritage Collection”. The Heritage Collection is a range of tennis shoes which was first launched in 2015. Coca-cola has managed to always keep strong ties with the fashion industry since the beginning. It’s collaborations with Adidas, Converse and Kith are still not forgotten who back in the time gave us some major fashion goals. Hence, with the news of this new collaboration has already got us making space in our shoe closet because believe it or not we’re excited to the bones. Here’s taking you through all the years of Coca-cola dominating our fashion choices because believe it or not one once in a while you enjoy a trip down the memory lane. Tops from Kith x Coca-Cola 2018. Releasing this Friday at all Kith shops and at 11AM EST on Kith.com. Kith x Coca-Cola 2018. A men’s and women’s collection inspired by global unity. Full campaign now live on the blog. Link in bio. Collection releases this Friday at all Kith shops and at 11AM EST on Kith.com. 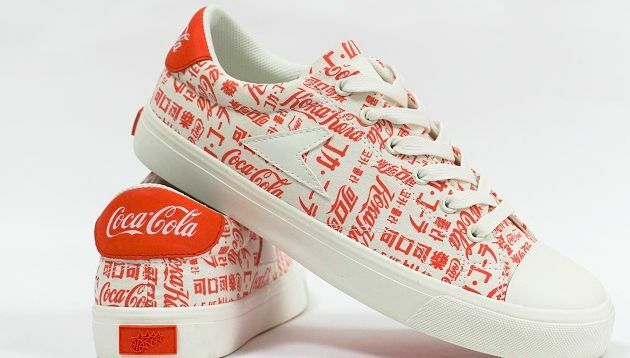 Speaking of the much awaited funky and eye popping shoe line, it includes a pair of white shoes with Coca Cola in every language written on it and another with the design of the metal bottle caps and the brands name on them that are sure to leave you tempted to buy it. Bata took to social media to announce the same with this video leaving us to crush over them until they are out to buy!